Point of View: The “Club Med” In Point Richmond? The “Club Med” In Point Richmond? No, that infamous playground of the tropics does not have plans to come here--yet something similar lurks furtively on the horizon. 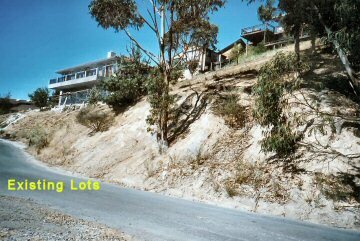 Overlooking the panorama of San Francisco Bay in Point Richmond are five lots, each of which is considered sub-standard in size by the zoning ordinances, thus requiring the utilization of more than one as a building site. Along comes Anthony Murphy and his construction company and acquires all five lots. As required, Mr. Murphy trots down to the Point Richmond Neighborhood Design Review Board (PRNCDRB) and presents his proposed structures. Not surprisingly, the neighbors and the PRNCDRB are all up in arms and hotly protest the construction of five mega-homes on sub-standard lots. Back to the drawing board and the kindly Mr. Murphy returns to a subsequent meeting, bending to the will of the masses and concedes by agreeing to build only three homes on the five lots. He plans to build a house on one lot at 3408 sq. feet, another one at 3585 sq. feet and on the sub-standard lot, a house at 3016 sq. feet. The neighbors were somewhat mollified and the PRNCDRB was delighted with the design Murphy presented. Which incidentally is reminiscent of a “Club Med” and wholly inappropriate for the area. Perhaps the nice Mr. Murphy had three houses in mind from the start and sweet-talked the PRNCDRB by his concession from five to three houses. Clever rascal, eh? Fresh from a perceived victory, Murphy applied for a sub-division map to break the five lots down to three lots, one of which would have to be a sub-standard lot. He also applied to the Planning Commission for a variance on the remaining sub-standard lot. This is akin to the old cliché where the man on trial for murder of his parents pleads to the Judge for leniency because he is now an orphan. Does he think we are all so naïve? 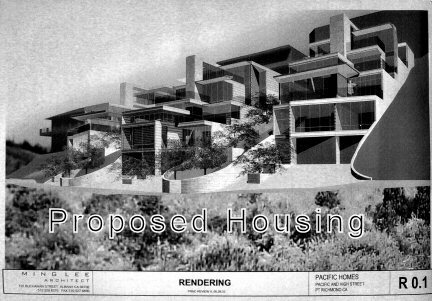 The neighbors, now awakened from the mesmerizing trance imparted by Murphy at the PRNCDRB, are once again organized in opposition to this new development. The Richmond Planning Department has submitted a recommendation to the Planning Commission in opposition to Murphy’s plans. The matter has been scheduled to be heard on November 6th, 2003 at 7:00 P.M. at the old City Hall before the Planning Commission. It is interesting to note that Murphy has submitted petitions signed by numerous alleged residents in the neighborhood. It appears that very few of the signatories are actually neighbors or even close to the property in question. In fact it many of them may not even own homes here. In direct contrast, the opposing petition consists primarily of actual neighbors that will be affected by Murphy’s proposed “colossus”. It is time for the Planning Commission to take heed and follow the well-reasoned recommendation by their own Planning Department and send this “carpetbagger” scurrying back into the woodwork where he came from. Point Richmond does not need to become another high-density enclave, with mega-houses on little lots. I would suggest that all those of you who care about the future of the Point to be there and speak your piece. This is your right and your duty as citizens of this very special place. Your condescending tone and fearful attitude is highly contradictive of the welcoming portrait of people and children happily skipping through the winding streets of the "Point" that was painted by residents in the Planning meeting of Nov. 6th. I would imagine that articulate people such as yourselves would offer your congratulations to any hardworking person who builds a successful business and keeps it running strong in your community, particularly in this economic climate. I am sure you are proud citizens who are happy to hear that a family will move into a home that Mr. Murphy will offer, who will love and utilize the streets with care, as they appreciate their incredible view (like you do everyday) of such a diverse and beautiful region. I am sure that you don't want some exclusive Blackhawk (Danville) fence surrounding you in some sort of monarch-style kingdom. I am sure you appreciate the different styles of architecture that keep your neighborhood from looking like some cookie cutter, beige sea. If not, if you would like to limit a business man to make only the living you approve of, of providing reasonable housing on privately owned land and who trying to utilize it while making efforts not to exploit it, I am not sure of what country you should like to live in. Furthermore, I am sure your city officials would be insulted to hear you imply that they can be "sweet talked" into approving projects without giving them the professional scrutiny they are hired to give. Enjoy your own "perceived victory". You are spot on. I don't know if he's a "carpetbagger" ... he DOES live in the Point ... but he has been less than honest and is certainly intent on wrecking the Point. Wish us luck tonight! P.S. : Interesting that I had the same cliche about orphan baked into MY talk to the Planning Commission tonight. Soft minds run together I guess.